Come Join me on Saturday MArch 29th, 12-6 at the Foundery Coffee Pub. I will be selling some small paintings, prints, earrings, etc. 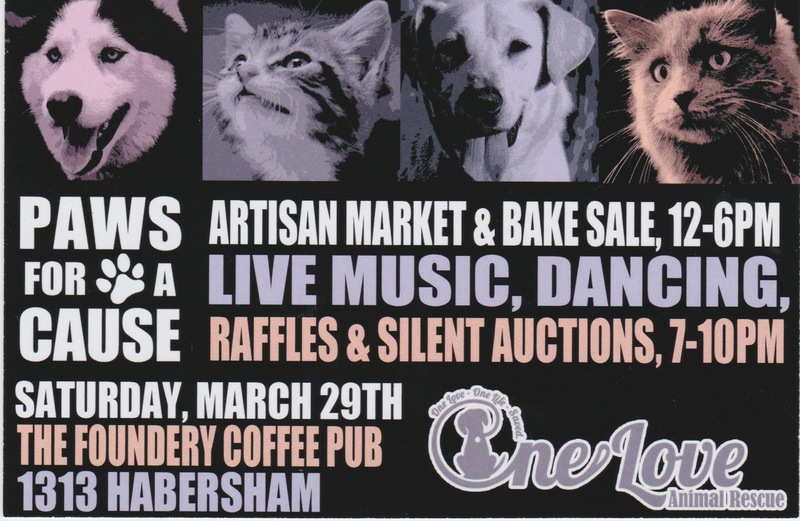 Event is to raise money for One Love Animal Rescue!